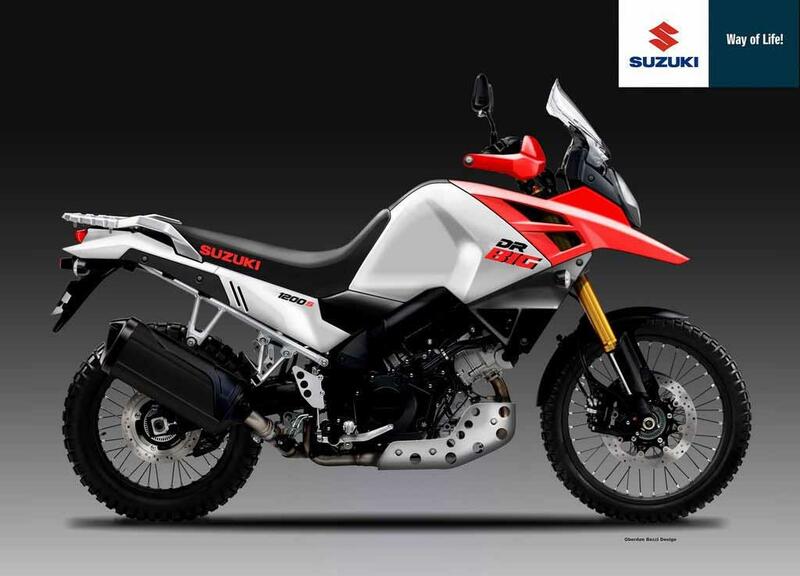 Back in 2017 German firm Hessler built a special edition of Suzuki’s great (if slightly vanilla) V-Strom 1000, and dubbed it 'Desert Express' – the tagline attributed to the original DR750S 'DR-BIG' back in 1988. Originally a 750, the DR grew to 800 in 1990, and it seems only fair to continue the capacity growth to base a new model the 1000cc Strom. And the rumours emanating from Japan are that there will be a new model – intended as an homage to that now legendary 1980s behemoth – revealed at the end of 2019 as a 2020 model. With Suzuki’s recent form for conjuring production bikes out of thin air that look shockingly similar to special custom builds created a year or two earlier by third party specialists, it’s fair to assume that the new Desert Express (yes, we think the name is sticking, too), might look remarkably similar to the Hessler creation you see here, which in turn looks a lot like a DR BIG 1200 S render drawn by serial bike design dreamer Oberdan Bezzi back in 2016 (see above). Real life mimicking art is a trick Suzuki pulled last year when they revealed the official return of the Katana a year after Italian Rodolfo Frascoli and Engines Engineering revealed their Katana 3.0 retro interpretation of the famous 1981 superbike. The production Katana, based on the firm’s current GSX-S1000 (just like the concept) that's new for this year is suspiciously similar. Whether the chicken is laying, or hatching from, the egg is less clear – while the net result is the same. 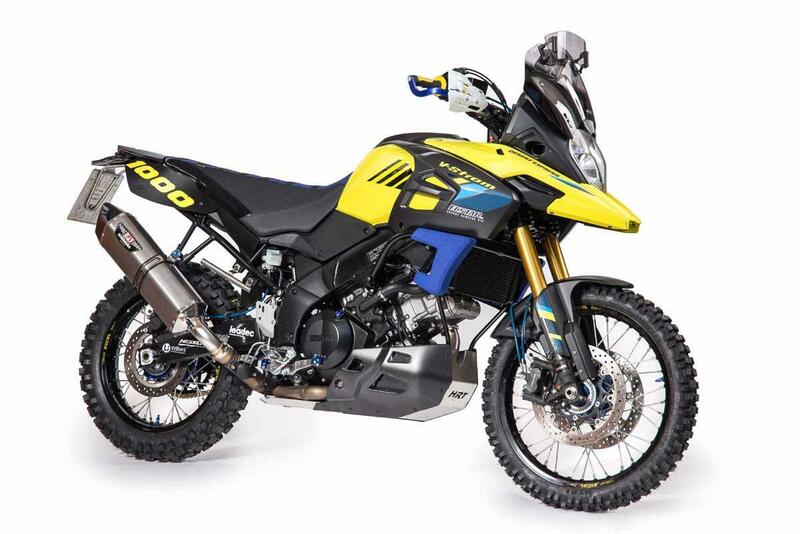 So how will the new Desert Express be different to a standard V-Strom 1000? We expect beefier adjustable suspension, a 21in front rim and 18in rear, serious bash plate and crash protection, a more rally-style seat, spoked rims and aggressive rubber – all combined with retro themed decals and colour schemes. 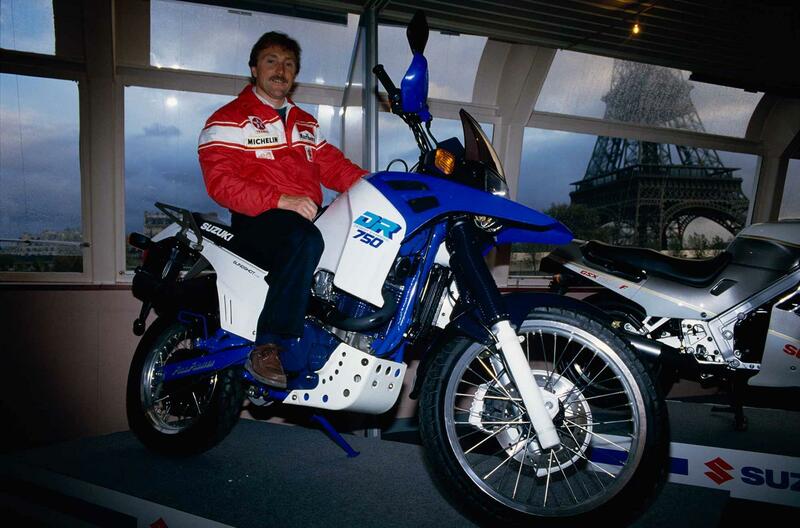 The DR BIG was a gargantuan edifice of a Dakar-aping super-enduro, produced for all those who wanted to pretend they were Gaston Rahier aboard his Dakar DR-Z. A new version will have no such provenance, but could tap into the emerging retro-adventure market. 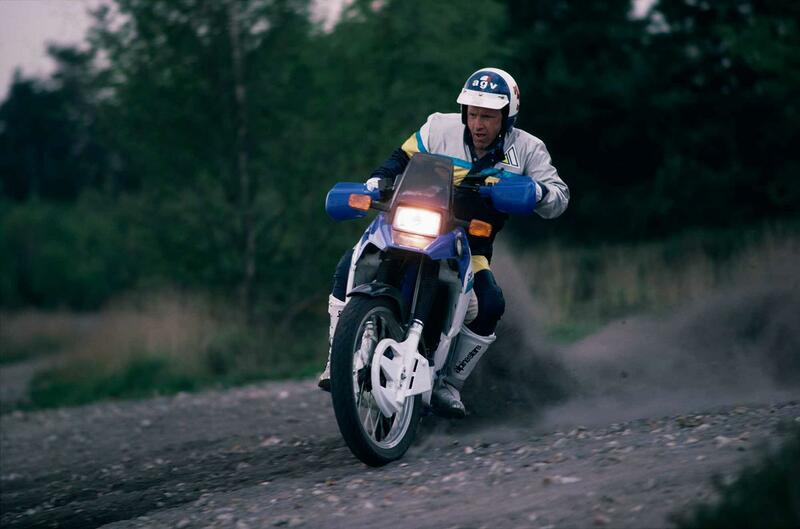 While the original DR BIG boasted a massive 727cc air/oil-cooled single (later growing to 779cc), the V-Strom version will undoubtedly use the current 1037cc V-twin engine, which develops 99bhp and 74.5lbft torque. 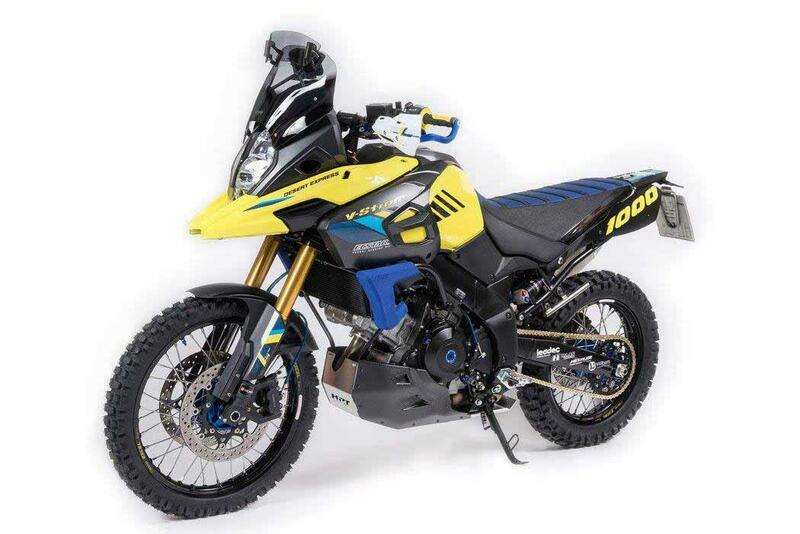 The new bike is expected to wear longer-travel, more off-road capable, fully adjustable suspension, with a 21in front wheel and 18in rear to allow serious off-road rubber choices – and give it more rolling ability over tough terrain. As well as standing taller, the new DR will need to toughen up, with a serious bash plate, crash bars, brushguards, and tough paint finishes and seat material to withstand the abuse it'll get in rush-hour Surbiton on a Monday morning. 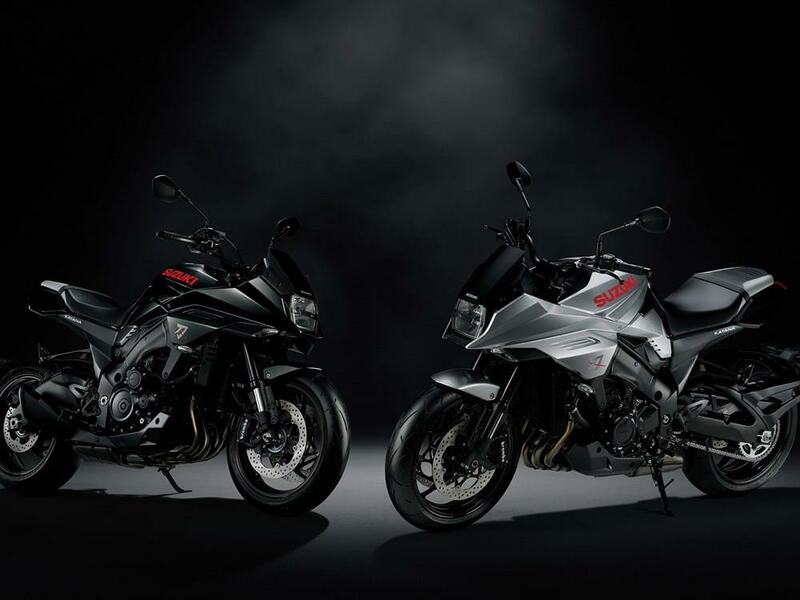 Of course, Hessler have already built their vision of the future, and if you can’t wait for Suzuki to roll out a production version, you can build your own with Hessler’s range of transformative parts.